Really? Wasn’t this greenwashing? I called Charles Fishman, the author of The Wal-Mart Effect, which entertainingly documents the market-changing (and company-destroying) effects of Walmart's decisions. He reiterated that whatever Walmart decides to do has large repercussions — and told me that what it had decided to do since my Natchez foray was to compete with high-end supermarkets. “You won’t recognize the grocery section of a supercenter,” he said. He ordered me to get in my car and find one. He was right. In the grocery section of the Raynham supercenter, 45 minutes south of Boston, I had trouble believing I was in a Walmart. The very reasonable-looking produce, most of it loose and nicely organized, was in black plastic bins (as in British supermarkets, where the look is common; the idea is to make the colors pop). The first thing I saw, McIntosh apples, came from the same local orchard whose apples I’d just seen in the same bags at Whole Foods. The bunched beets were from Muranaka Farm, whose beets I often buy at other markets — but these looked much fresher. The service people I could find (it wasn’t hard) were unfailingly enthusiastic, though I did wonder whether they got let out at night. To make a long story short, the author recruited a team of foodies and chefs to stage a gourmet taste test judged by a group of local (Boston) food experts, and horror of horrors, Wal-Mart held its own. Read the whole thing if you want the details. On a kinder note, I am very impressed that Mr. Kummer had the courage to write this article, and more impressed that he actually took the time to visit one of the most beautiful cities in my home state, Natchez, Mississippi. I have totally noticed this at wal-mart and I DO NOT like wal-mart but I do need to save save save...since I think tuition is going up up up!! I have to agree. 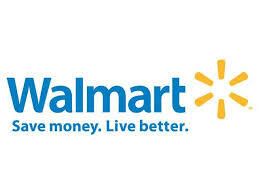 I don't much care for Walmart either but when you're trying to make a dollar stretch...what's a person to do?